OMG!! He was AMAZING! 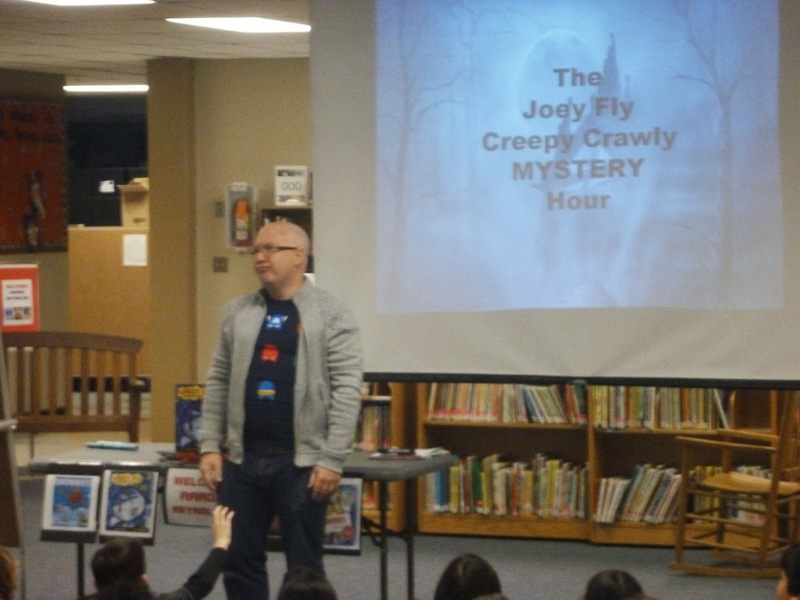 I have been so looking forward to his visit since some of the librarians in my district had him in October and couldn't stop gushing about how great his presentations were and he was every bit as fantastic as they said. 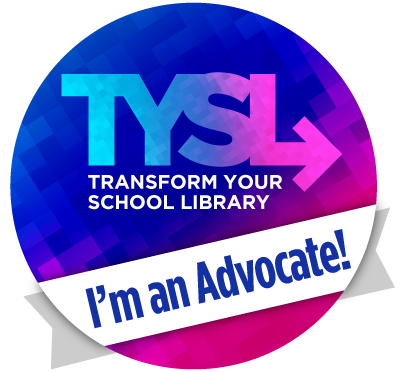 He was engaging and energetic (I'm sure his theater background help there) and his presentation were chock full of interaction with the students. 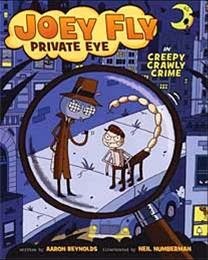 In his Joey Fly presentation for my 4th and 5th graders, he challenged the students in a race against the clock to solve a real-live mystery, all the while teaching them the different elements a mystery has to have. 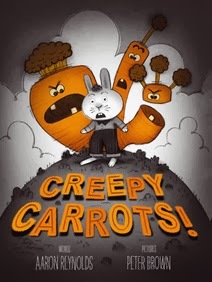 His Creepy Carrots presentation for the younger students was just as fun. 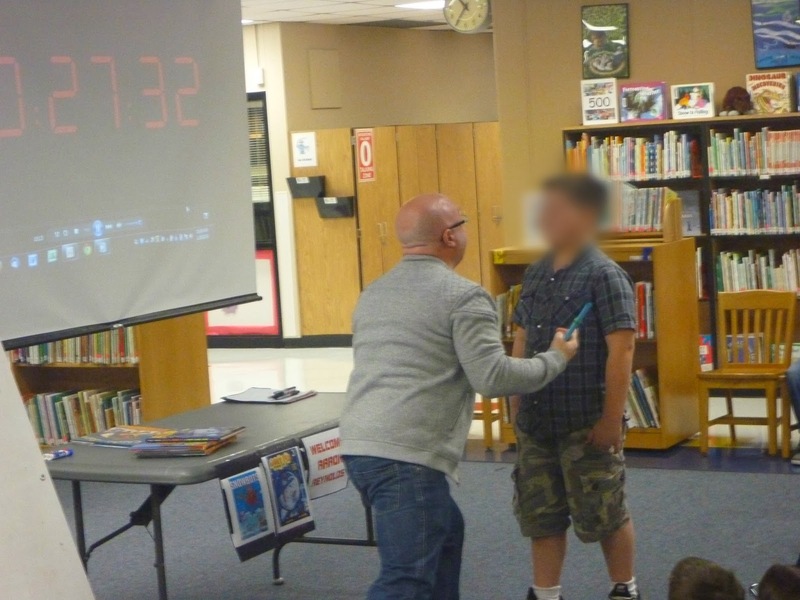 For my 2nd and 3rd graders, he discussed how a book goes from a story to an actual book, using students from the audience as the Author, the Illustrator and the Publisher. 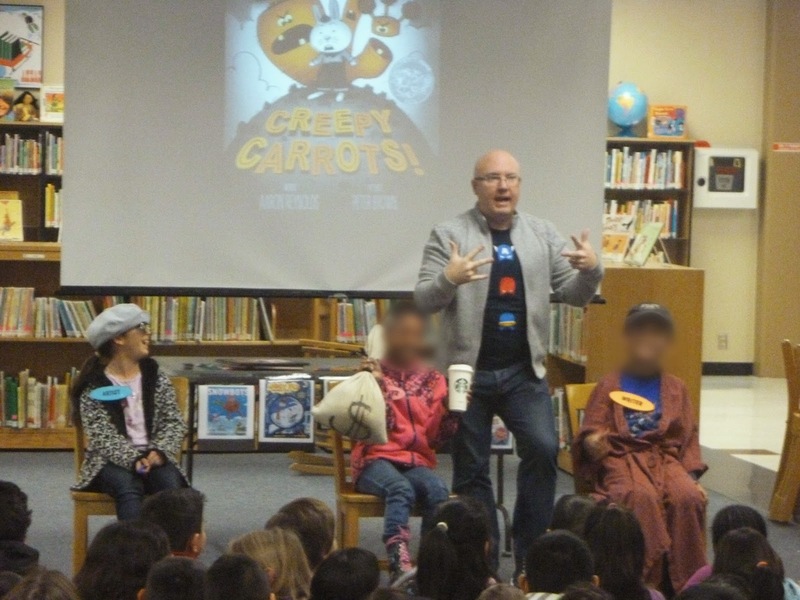 The kids were fascinated to find out that he has never met the Illustrator of Creepy Carrots in person. After school, many of the teachers came by to tell me how great they thought he was and how their students could not stop talking about him all day. 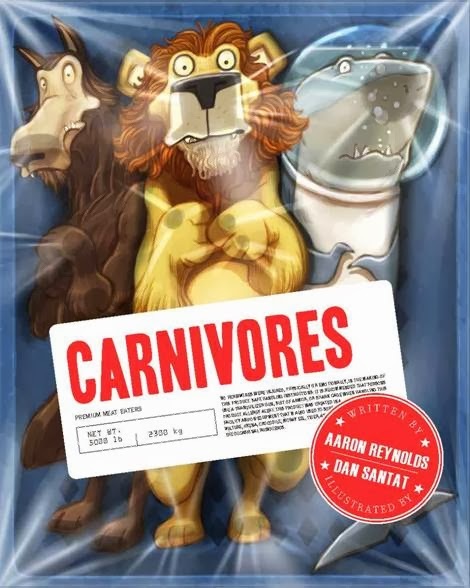 I highly recommend an Aaron Reynolds visit! You will not be disappointed!